Israeli Prime Minister Benjamin Netanyahu has scored a stunning victory in his battle for reelection, defeating a center-left coalition which just days prior looked to have the upper hand. Netanyahu achieved this by pulling sharply to the right, saying several remarkably destructive things that he cannot simply take back. By re-electing Netanyahu in the full light of the things Netanyahu has said in the last week, Israel has indicated to the world that its population largely stands behind the things Netanyahu has said. This will cause irreparable damage to Israel’s international standing and to the US-Israel alliance, all of which can only serve to undermine Israel’s long-term strategic interests. Let’s start by getting a handle on what precisely Netanyahu said. I think that anyone who is going to establish a Palestinian state today and evacuate lands is giving attack grounds to radical Islam against the state of Israel. There is a real threat here that a left-wing government will join the international community and follow its orders. But if you are prime minister, a Palestinian state will not arise? While it has long been suspected that Netanyahu was hostile to the two state solution, this hostility has never before been explicitly stated in absolute terms. 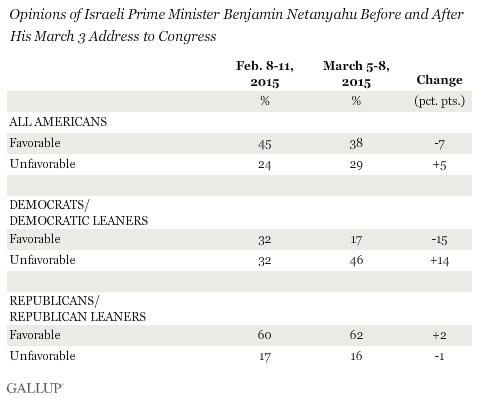 It is a reversal of the position Netanyahu claimed to hold in 2009. This flies in the face of a wide array UN resolutions calling for a Palestinian state, including those passed in 1947, 1974, and most recently in 2013, when it was passed 165-6, with 3 abstentions. But more critically for Israel, it directly contradicts the stated foreign policy of Israel’s most important ally, the United States. Each of the last three US presidential administrations has been explicitly in favor of the two state solution. The only way for Israel to endure and thrive as a Jewish and democratic state is through the realization of an independent and viable Palestine. Building support for the two-state solution has been one of the highest priorities of my Presidency. I don’t see any alternative to a Palestinian state. The right-wing government is in danger. Arab voters are going en masse to the polls. Left-wing NGOs are bringing them on buses. What’s wrong is not that Arab citizens are voting, but that massive funds from abroad from left-wing NGOs and foreign governments are bringing them en masse to the polls in an organized way, thus twisting the true will of all Israeli citizens who are voting, for the good of the Left. Voting percentages tripled among the Arab population! The concern is coming true: The call by [Palestinian Authority President Mahmoud Abbas] and American money are bringing Arabs to the polls. Go vote! Imagine if the prime minister or president of any democratic country would warn that his government is in danger because, for example, ‘black voters are going en masse to the polls.’ Horrifying, right? The clear implication is that Netanyahu and his party do not believe that they could get any substantive support from Arab voters, presumably because they have no intention of showing equal concern for the interests of Israeli Arabs and they know that Arab citizens are fully aware of this. In any other society, we would call this what it is–explicit racism. In the west, even quite right wing parties still at least pretend to care about the interests of minority populations. In terms of policy, there’s nothing new here. But the beliefs underlying Isaeli policy have for the first time been clearly expressed for all the world to see. Under Netanyahu, the Israeli government has no regard for the views or interests of the international community, the United States, or its Arab citizens. The government is now openly racist and openly hostile to the peace process. The United States needs to resolve the Israel/Palestine conflict. The misery of the Palestinian people drives many impressionable Palestinian young men into the hands of terrorist organizations, and their plight galvanizes extremists all over the region and the world. Because the United States is seen to be the principal supporter of Israel, disaffected youths blame the United States for the ongoing impasse, making America and Americans attractive targets. Yet Israel now openly defies the United States, dismissing American peace plans, undermining UN negotiations with Iran, demeaning and even insulting members of the administration. How long will the United States continue to show unconditional support for a country that openly disrespects it and makes it appear weak on the international stage? Without American support, Israel would be far less secure than it is today. Bi-national Democracy–the Palestinians could be fully integrated into the Israeli state with the same legal rights Jewish Israelis retain. Israel would cease to be a Jewish state, and the Zionist dream would be extinguished. Ethnic Cleansing–the Palestinians could be massacred and/or driven from the Palestinian territories by the Israeli military. 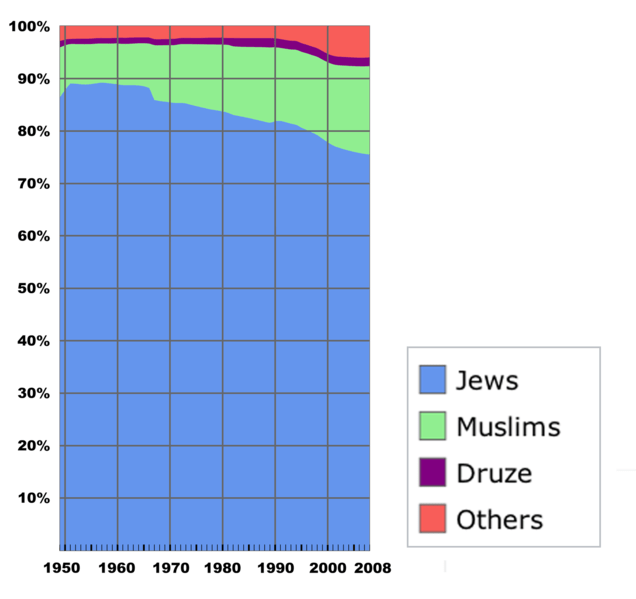 Apartheid–rather than drive the Palestinians out, the Israelis could gradually settle the Palestinian territories, marginalize the Palestinians in ghettos and enclaves, deny them equal rights of citizenship, and oppress them in much the same way the South African minority white population oppressed the majority black population. The first solution is anathema to Israeli conservatives. The second and third solutions would draw international condemnation and sanctions. If Israelis want Israel to remain Jewish and democratic, they are much better off accepting a two state solution. By declining to do so, Israel invites a disaster for itself years down the line. And every year that passes, the settlements get bigger and the two state solution gets more difficult to implement. By reelecting Netanyahu, Israelis may have sealed their fate, consigning themselves to a nightmare dilemma that will inevitably result in the end of Israel as a Jewish state. This remains true even if Israel retains American support, and the actions of Netanyahu and Likud are increasingly calling that support into question. The alliance with Israel was once uncontested on both sides of the aisle in the United States. Now it is increasingly up for debate, particularly among younger Americans. The whole thing feels distinctly sinister and foreboding. It will not end well for anyone.